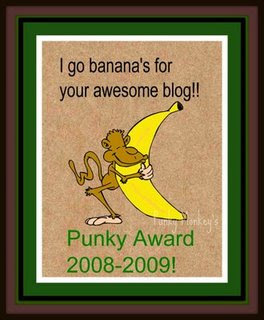 I am so honored to be the recipient of this Punky Award given to me by Bridgette from The Not So Blog Blog! There are no rules for this award, you can choose to tag someone if you wish! :clap: What a funny one! I haven't seen this one yet. Thank you!! !